Whether you garden indoors or out, a successful gardener needs to learn how to read plants. Even when their outward signs show us they need some attention, sometimes figuring out what they need is a mystery. 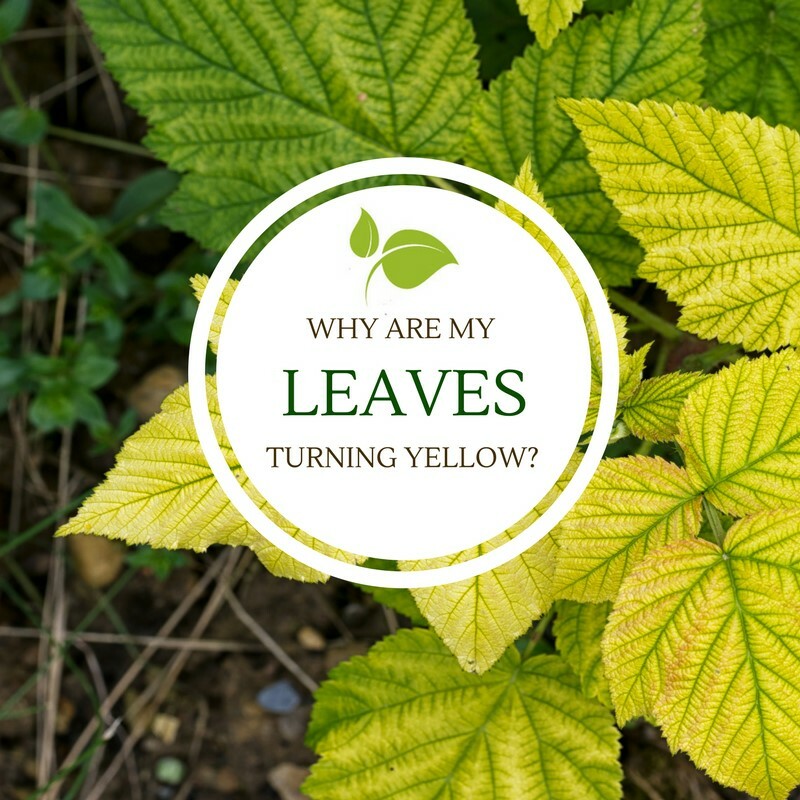 There are a number of reasons a plant’s leaves will turn yellow. Among the reasons are overwatering, underwatering, stress caused by temperature changes, soil conditions, lack of proper nutrients, pests, disease, the age of the plant, pot-bound roots and transplant shock. Out of all of those contributing factors, overwatering or underwatering is usually the main culprit. Overwatering – Too much water is just as harmful as too little. Soil that doesn’t drain well will drown the roots. Without oxygen, the roots will die, and the leaves will turn yellow and fall off. Wait until the plant’s soil begins to dry, then water sufficiently and wait until the soil starts to dry out again before watering. Make sure your container has adequate drainage holes and water less frequently. When repotting an overwatered plant check its roots. Black roots indicate decomposition and a certain death sentence if not taken care of, while white roots are an indication of a healthy plant. When repotting a plant with black roots, trim back all the dark areas leaving only healthy white roots to recover. If there’s a green crusty appearance to the soil surface, this is algae, and it too is an additional symptom of overwatering. Underwatering – If plants do not receive enough water they will drop their leaves to prevent dying. Often times it’s the way the plant is being watered that’s the problem. To encourage the roots to grow deep in the soil, water your plants less, but water them thoroughly to be sure the roots are getting plenty or moisture. Make sure you’re watering your plants properly: wait until the soil begins to dry, then water it fully, and wait until the soil starts to dry out before watering again. Lack of Light – To determine if your yellow leaves are caused by a lack of light check the lower leaves first. If the lower leaves appear to be more faded than yellow, it could be a sign of a light deficiency. Plants need proper light for photosynthesis to occur. Be sure to rotate your pots periodically, so all foliage is exposed to sunlight. If the yellowing begins on the side away from your light source, it might be caused by too little light reaching these back leaves. Research your plants specific light requirements to be satisfied you are providing it what it needs to thrive. Some plants like indirect light, while others require full sun. Plants with too little light will often become leggy as they try to reach toward the light. Temperature – Typically seen more in landscape plants than houseplants, a significant temperature change can leave the tips of your plants looking burned. Most often this occurs in the spring when tender new leaves are affected by a late freeze. If this happens, trim off the burned areas, and allow for new growth. With houseplants, most prefer particular temperature ranges. Some like it cool, around 50-60 F while others prefer in warm around 70-80 F. Some plants will drop their leaves when moved to a new location that has a significant temperature change. Tropical plants do not like colder temperatures, so keep them away from air-conditioner vents. Pests – If the yellow spots on your leaves appear along with tiny critters (be sure to check the undersides of the leaves), then you have an insect problem. First, identify the pest and then treat for that particular insect. Typical bug infestations on plants are caused by one of the following: mites, aphids, mealybugs, thrips, scale, or whiteflies. Repeatedly washing the plants or applying an insecticidal or horticultural soap is one treatment that is often effective as well as environmentally safe. Nutrient Deficiencies – If the top leaves of your plant are yellowing, or there is an unusual pattern of yellowing (i.e. the veins remain dark while the tissue between them turns yellow), it’s most likely a nutrient deficiency. Iron deficiency – This causes yellowing, stunted growth and interveinal chlorosis. You will see it normally in new growth first. Test your soil and maintain a pH below 7. Potassium deficiency – The leaves, especially older leaves, may have brown spots, yellow edges, yellow veins or brown veins. Add a potassium fertilizer containing potash. Nitrogen deficiency – This causes stunted growth and yellow edges on the tips of the leaves. The veins may be yellow, and sometimes the whole leaf will be pale yellow. Add used coffee grounds to the soil to increase its nitrogen, or apply a balanced fertilizer. Calcium deficiency – This will cause crinkled, mottled or distorted leaves and will not allow the tips of the leaves to grow. Add agricultural lime to the soil. Old Age – Often a plant has just outlived its natural plant life, succumbing to yellowing leaves and aging-out. Please note that whatever the cause of your plant’s illness, remember it may take weeks or even months for a plant to recover and return to normal growth.